This is a thank you gift for some people kind (or brave) enough to invite us to their lake house for a couple days. We had so much fun, I just had to make a cabin for them. Fortunately I was able to use a great idea I saw on Flickr as my prototype. Mine measures 11.5" by 14.5" - I don't know how she had the patience to do hers so small! This was all machine pieced and quilted. Even machine sewed the binding, which may have turned out better if I could get over my dislike of hand sewing. The problem is I'm a perfectionist and those nice machine stitches look so much better than my wonky hand stitches. 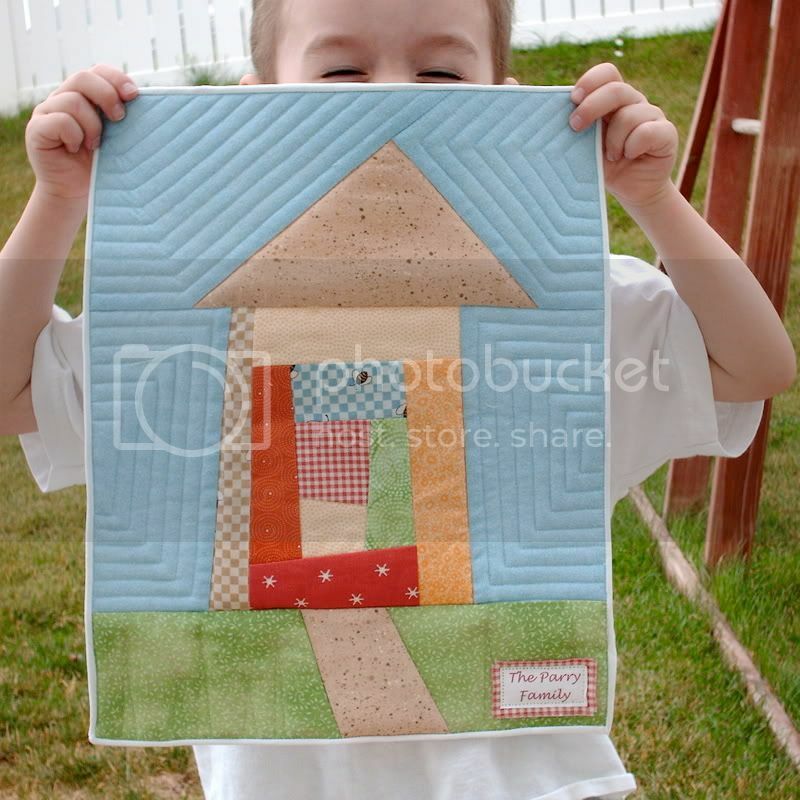 Besides, if I really wanted something hand quilted, I can take it to my mother! Her stitches are much better and she has the patience of a saint when it comes to handwork. This is beautimus. They will love it. You are so good!